August Gardening tips for Southern California. August Gardening is kind of an oxymoron in Southern California. It is really really hot most of the time, so although I’m giving you a list of things to do you have my permission (like you need it) to put some of the outside tasks off until it cools a bit. I tend to do my August Gardening early in the morning – for like 30 minutes or maybe an hour if I wake up early and don’t have to be straight on a job site. My August gardening chores have mostly been about weeding, deadheading, and trimming. That is pretty much all I can muster. In addition to the chores on this list I think that August is a great time to do research. 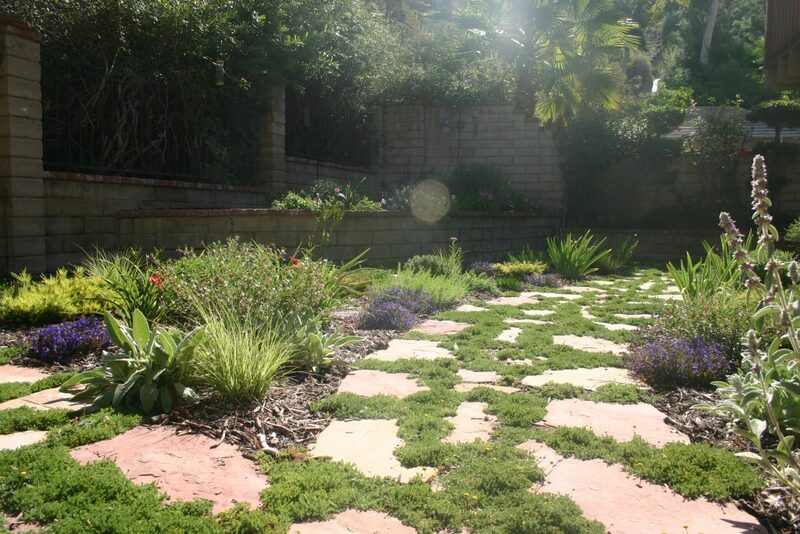 Take some time out to look at water wise gardens around your home and see what they look like at this time. 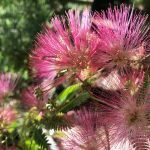 Go visit some nurseries (don’t go to big box stores) and chat with the nursery people – ask questions, see what they have to tell you about great water wise plants and practices. More research topics: Sheet Mulching. Go online and learn how to build your soil up! Learn how to create a rain garden to capture water on your property, save water and help the oceans. I have done posts in the past that can help you. Check out this one on Water wise best practices you will learn a bit about watershed wise gardening and how to create a very sustainable garden. Plan/design – the hot months are a great time to come up with a beautiful garden design. If you are stumped or just want some help, think about enlisting a professional designer. Aside from contacting me locally, you can find a designer in your area on our website apld.org you’ll be glad you did. Enjoy your garden, we only have a couple more months of heat and then we can go out and start planting again! If you would like a little help creating the garden of your dreams, think about calling me at 661-917-3521 or visit my website and contact me there.